We look forward to presenting at the Ecological Landscape Alliance (ELA) Conference on March 6th. Several staff members will be presenting in the Form, Function, and Flow: Managing Stormwater Naturally category. Brian Kuchar, RLA, P.E., Jennifer Relstab, P.E. and Michelle West, P.E. will present The Wet and Wild World of Constructed Wetlands March 6th at 2:00pm. Please join them to find out why these multi-faceted yet underutilized beauties (constructed wetlands) have become our favorite green infrastructure practice! This presentation will focus on three main topics: an overview of constructed stormwater wetlands including their many benefits and when to use them, New England case studies constructed over the past five years, and lessons learned during the various phases of those projects. We will also have time for an open discussion with our panel to dig deeper into specific topics or projects. Learn more at the ELA site. This workshop will focus on the most frequently encountered trees, shrubs, and woody vines of swamps, bogs, marshes, and other freshwater wetlands in Massachusetts. This two-block session will include both hands-on identification and presentations that will cover characteristics used in field identification and photo descriptions of each plant. This two-part workshop will include a presentation to update participants on the benefits, costs, design requirements, and applications of the latest advancements in Green Infrastructure practices. The second part of the workshop will include a hands-on interactive exercise. Learn more at the MACC site. As an exhibitor, sponsor, and presenter we look forward to meeting conservation professionals at the MACC Conference. Sewanee: the University of the South owns more than 13,000 acres called the Domain located on the Cumberland Plateau, more than 90 percent of which consists of Southern Appalachian forest. This is among the most diverse forest types in the United States and one of the largest unbroken expanses of hardwood-forested plateaus in the world. As an academic institution devoted to learning and knowledge, the University has committed to act as a model of environmental sustainability – including stewardship of natural areas, promotion of environmentally sensitive landscaping practices, and use of Smart Growth land use planning techniques as described in detail in the University’s 2013 Sustainability Master Plan. Sewanee Village currently consists of a retail and office strip on University Avenue connecting the University campus to US Route 41A. The Village has been designated by the University as one of three future development focus areas in the Campus Master Plan, also including the Core Campus and the School of Theology. The University envisions redevelopment of Sewanee Village as a mixed-use, walkable, vibrant place, with better connections to the Core Campus. The Village Implementation Plan, completed by Town Planning and Urban Design Collaborative (TPUDC) in 2016, produced a design framework for the Village Core. 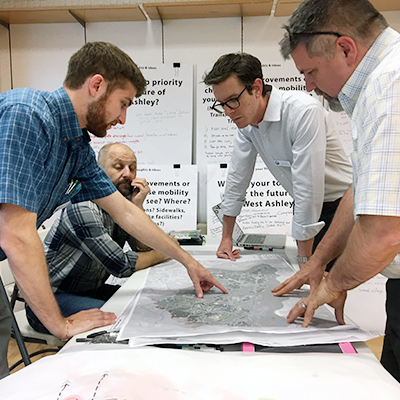 The 2016 Sewanee Village Implementation Plan builds upon the Sewanee Vision Plan and the Sewanee Action Plan and provides specific planning interventions and strategies to guide redevelopment of the Village and the greater Domain. The goal of this Plan is to enhance connections between the University of the South and the Sewanee Village, and to ensure the long-term viability of the Village by creating a mixed-use environment that integrates new businesses, civic spaces, and housing into the existing Village fabric. 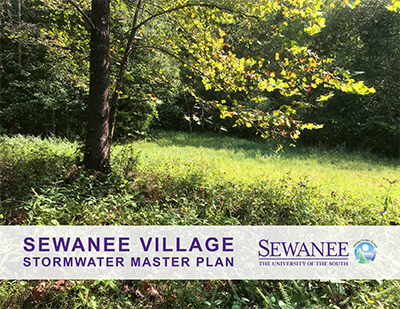 The Implementation Plan seeks to make the Sewanee Village a regional model for sustainable redevelopment. The directive of this project is to evolve the 2016 Village Implementation Plan to the next level of detail, melding a more detailed assessment of on-the-ground existing conditions with the University’s sustainability principles as well as the vision for Sewanee Village as a vibrant, mixed-use center. The University convened a stakeholder group including TPUDC, University subject matter experts, and local business owners to provide input and guide the project throughout. To mitigate the effects of additional runoff resulting from proposed development, demonstrate the application of Light Imprint site planning techniques and green infrastructure BMPs to naturally filter, infiltrate, and store runoff. Provide a range of land planning and stormwater solutions calibrated to the Domain’s natural context, “softer edge” aesthetic to artfully compliment the urban design vision for Sewanee Village. Artfully incorporate environmental design into Sewanee Village respecting the area’s built and natural character. Utilize green stormwater infrastructure as placemaking elements and educational amenities. 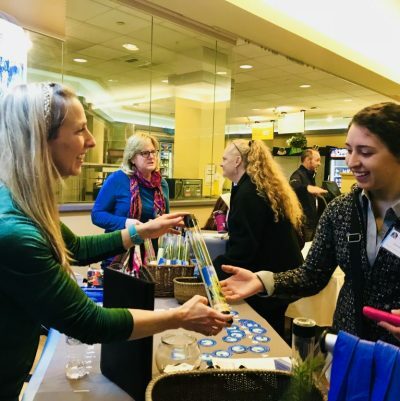 Encourage implementation of highly visible, forward-thinking approaches as a demonstration of the University’s commitment to sustainability and learning. Demonstrate realistic, cost-effective, and constructible nature-based solutions with a focus on long-term maintenance requirements. 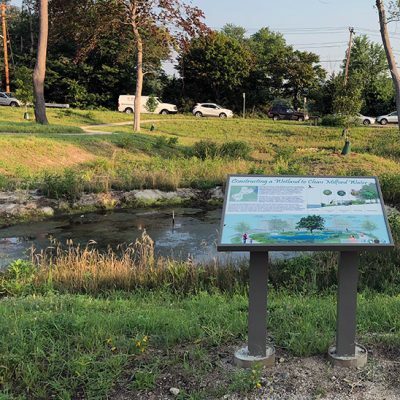 At a recent awards dinner, the Connecticut Chapter of the American Planning Association (CCAPA) prefaced the award announcement by saying how rare it is to even consider a Plan of Conservation & Development (POCD) for the Chapter Planning Award. The committee felt this document achieved everything the Town asked for and more! 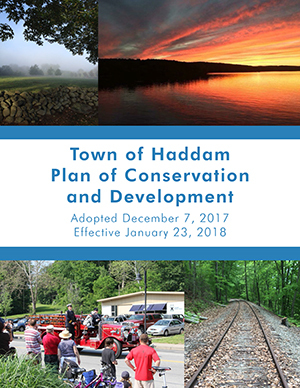 HW planners worked with the Town of Haddam, CT to update and improve its POCD. 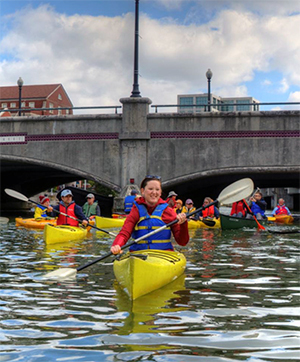 A POCD is what other states think of as a “Comprehensive Plan” or “Master Plan.” The document provides a long-term vision for the Town and guides decision making relating to growth, development, and conservation over the next ten years. The Town hired HW because they wanted “fresh eyes” and something different than the typical POCD. They specifically asked for a plan that is: 1) easy to read and navigate, 2) meaningful and educational to the average Haddam resident, and 3) straight forward to implement. 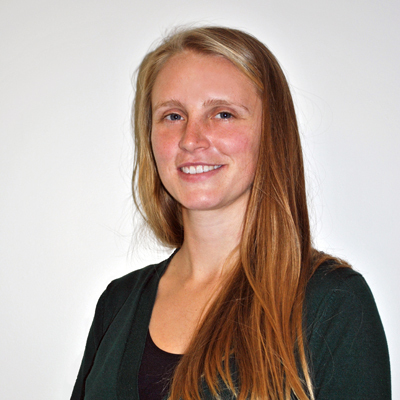 Under the leadership of our Senior Planner Krista Moravec, the HW team listened closely to how residents talked about their community and what they hoped for in the future. Our community conversations resulted in a document focused on “the places of Haddam” specifically the village centers and surrounding rural areas. The plan opens with a bold statement of what constitutes “the heart and soul” of Haddam, then goes on to tackle issues one place at a time. This format allows the reader to understand how traditional planning elements like infrastructure, housing, and economic development work together in a New England Village. 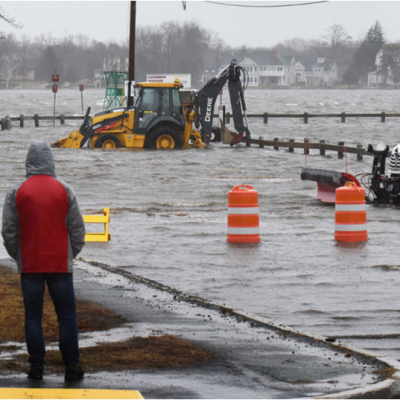 The Municipal Vulnerability Preparedness (MVP) grant program provides support for cities and towns in Massachusetts to begin the process of planning for climate change resiliency and implementing priority projects. The state awards communities with funding to complete vulnerability assessments and develop action-oriented resiliency plans. Communities who complete the MVP program become certified as an MVP community and are eligible for MVP Action grant funding and other opportunities. 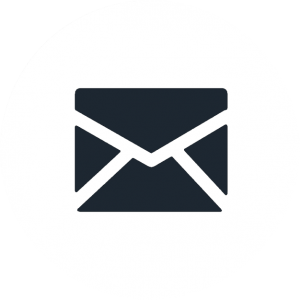 We have helped Brewster, Kingston, Newbury, Newburyport, Peabody, Tisbury, and Shrewsbury, MA to achieve their MVP designations and identify projects that qualify for future MVP action grants. 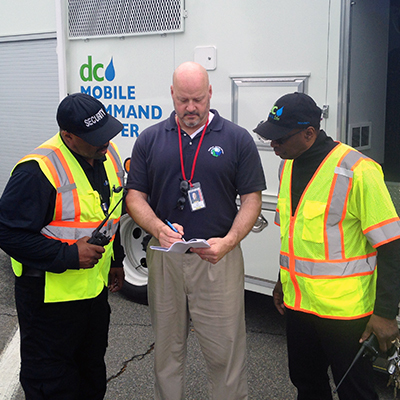 To date, our work has helped our clients leverage over $900k in Action Grant funding. Questions? 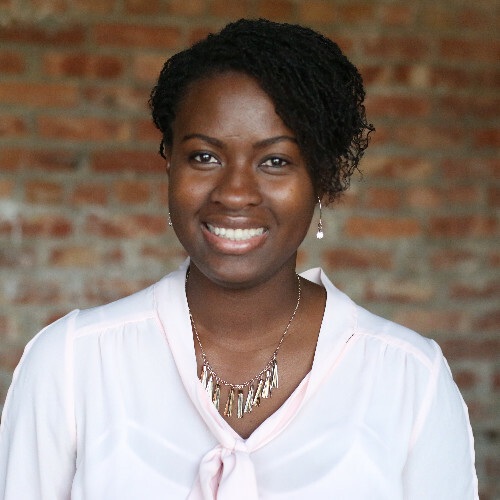 Contact one of our MVP Certified Staff for help with the grant process. View the Planning Grant .